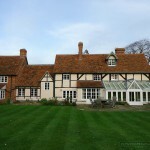 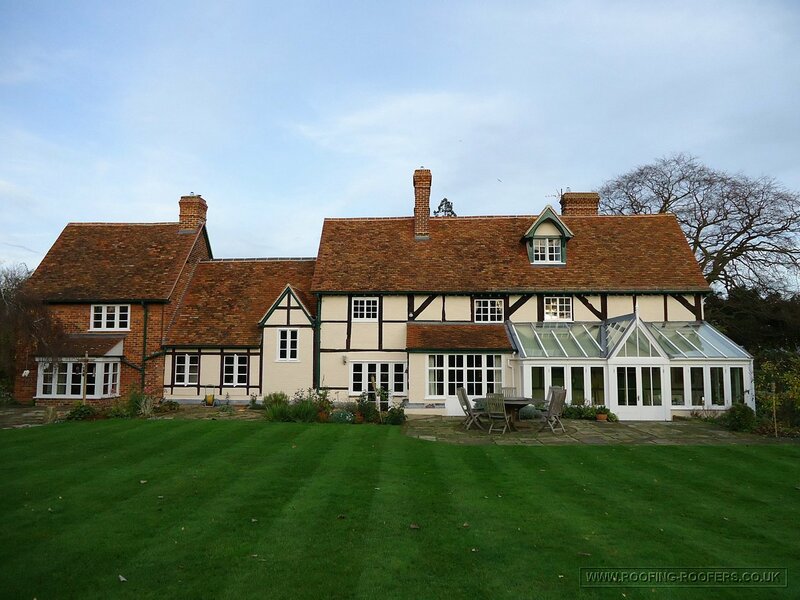 The main house on this project I re-roofed back in September 2010, the property a grade II listed building this was a complete re-roof for Carter Construction. 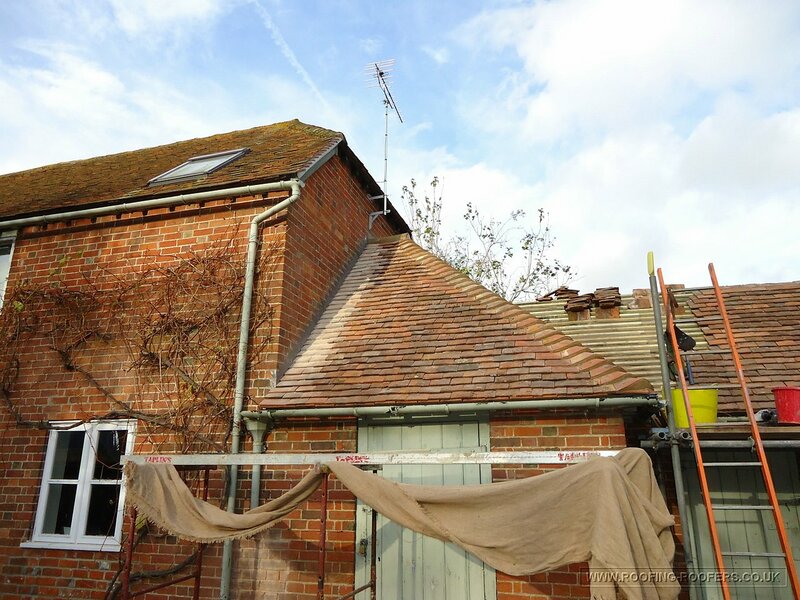 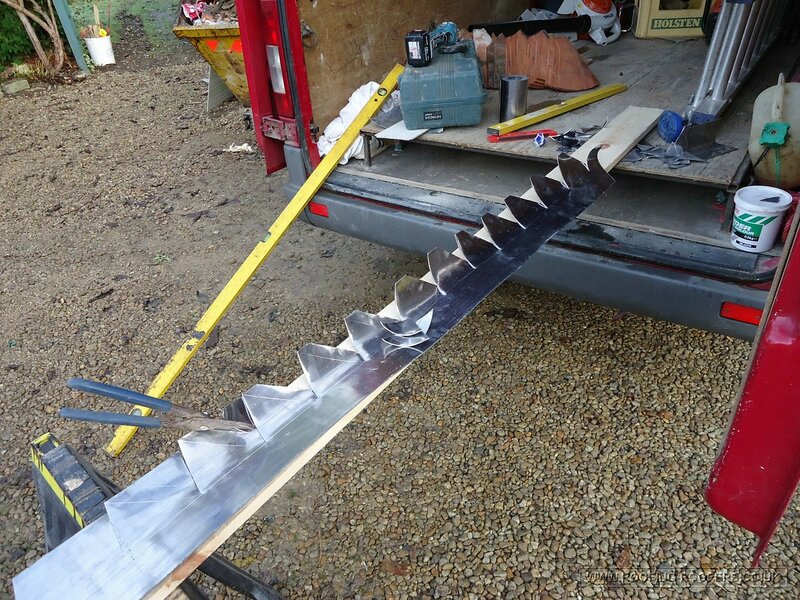 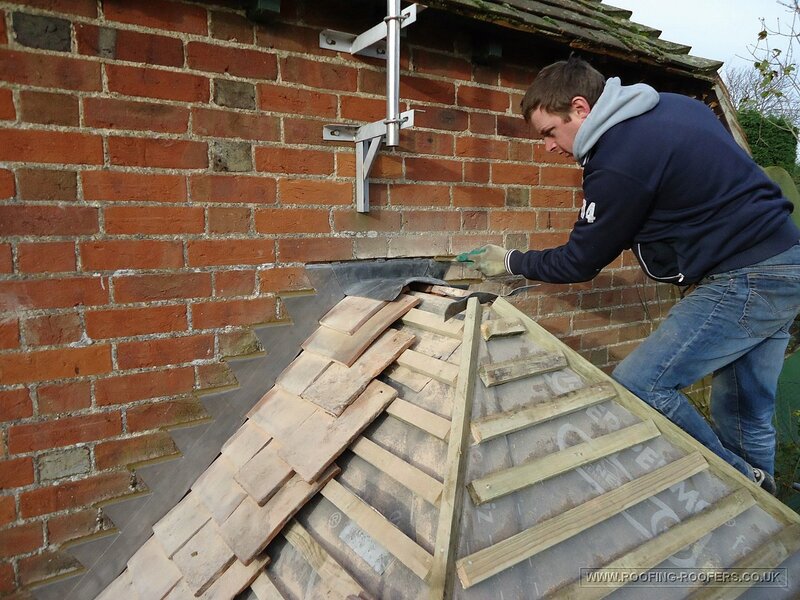 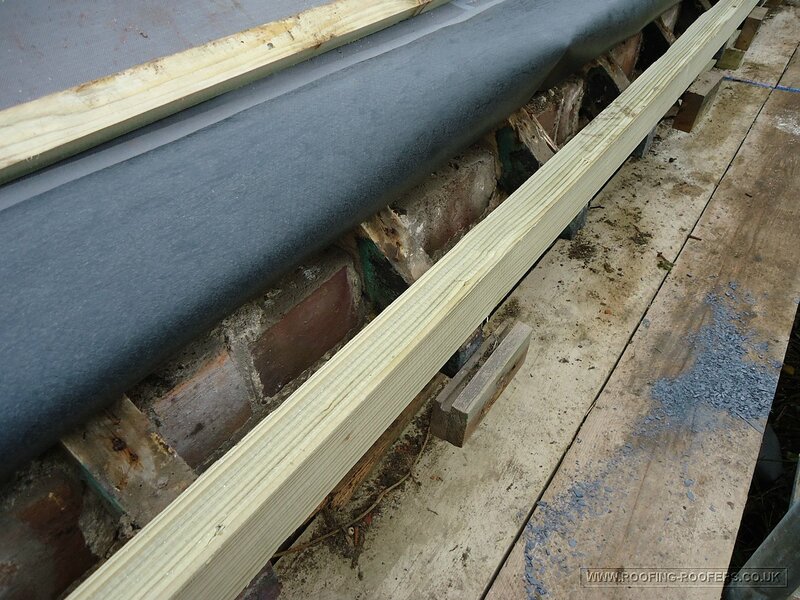 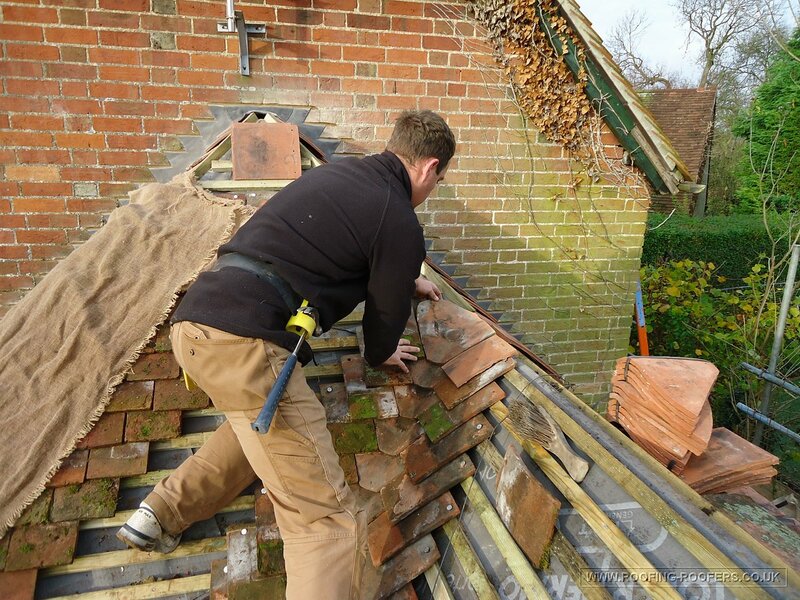 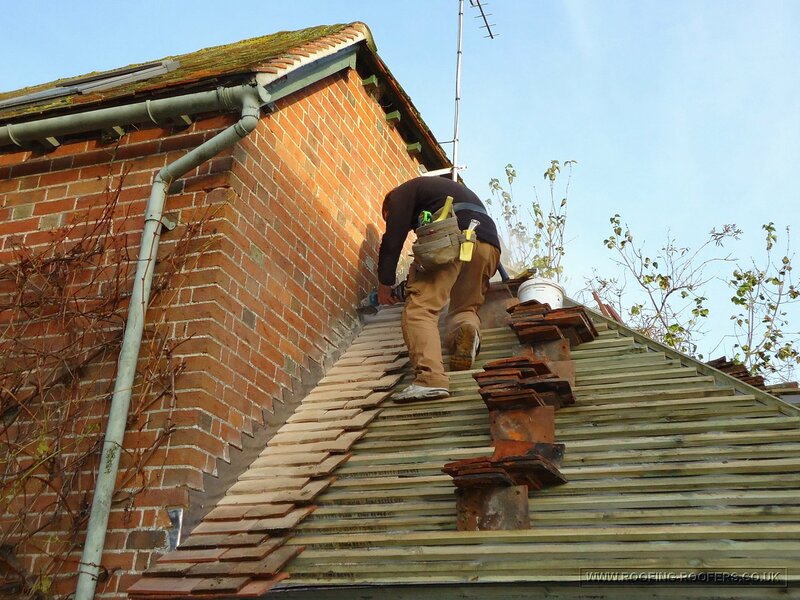 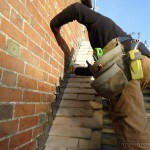 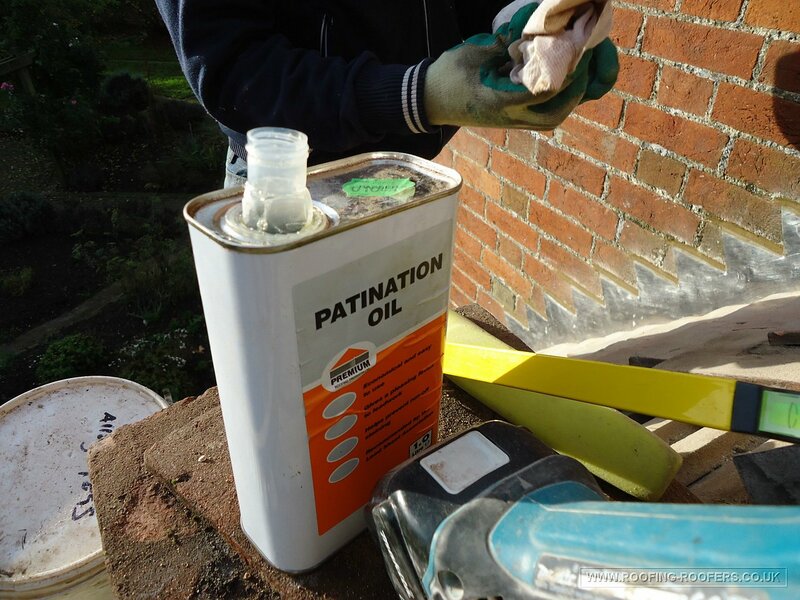 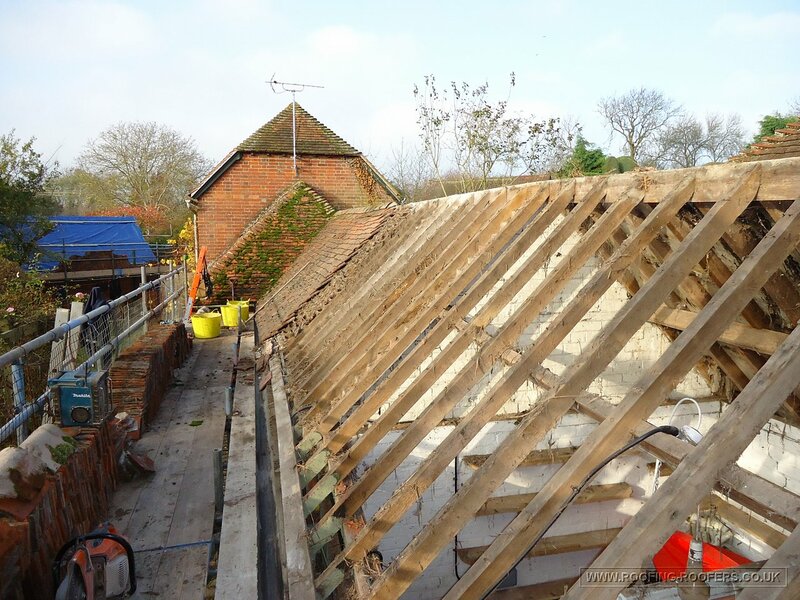 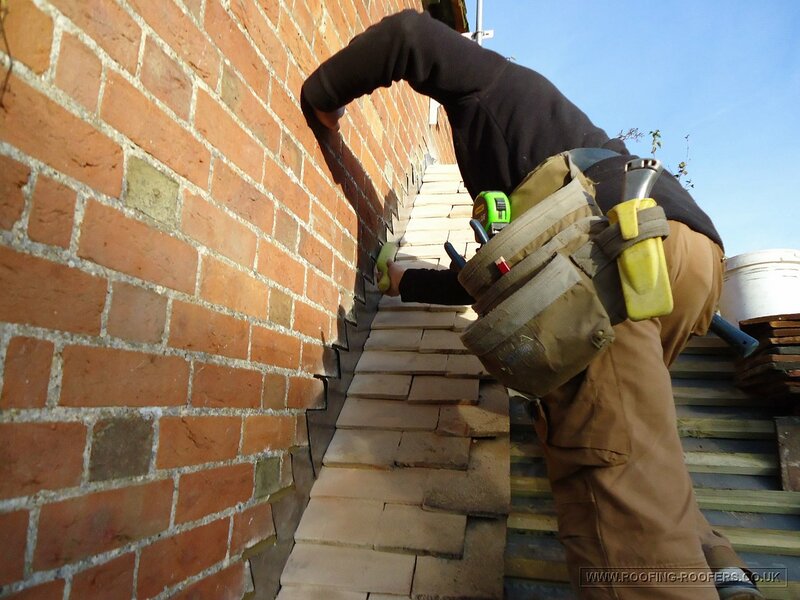 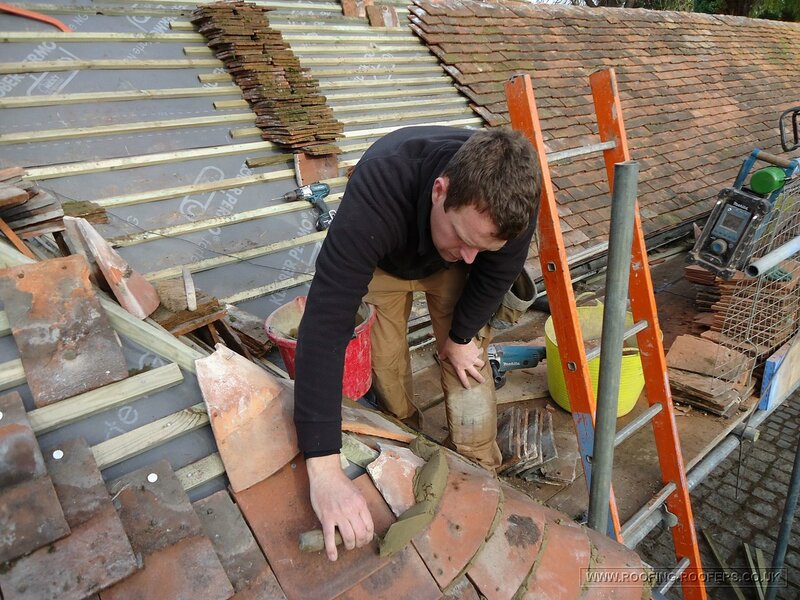 We worked alongside the contractors of the construction company, us stripping the roof tiles, battens and felt and the carpenters doing any timber remedial works and insulating the roof voids. 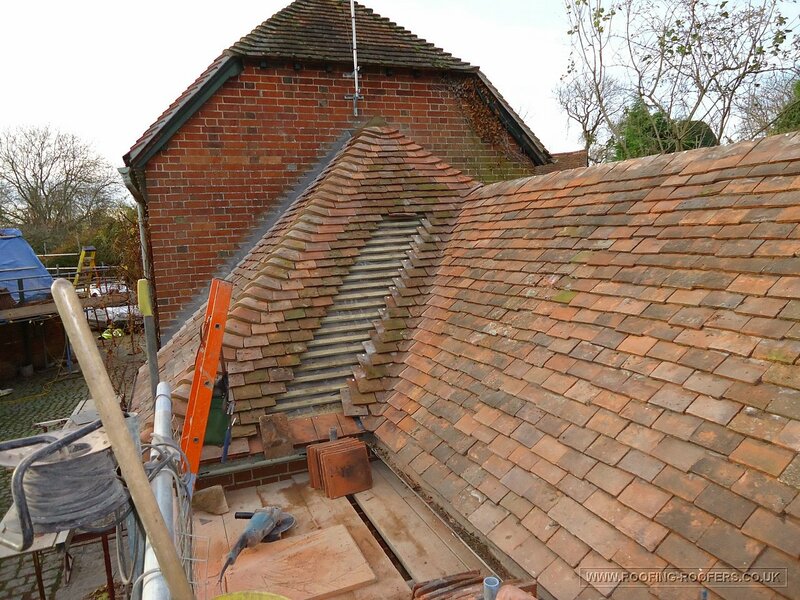 All sound existing tiles were set aside for re-use as this was a grade II listed building, great care was taken in saving the tiles as they are expensive to obtain replacements. 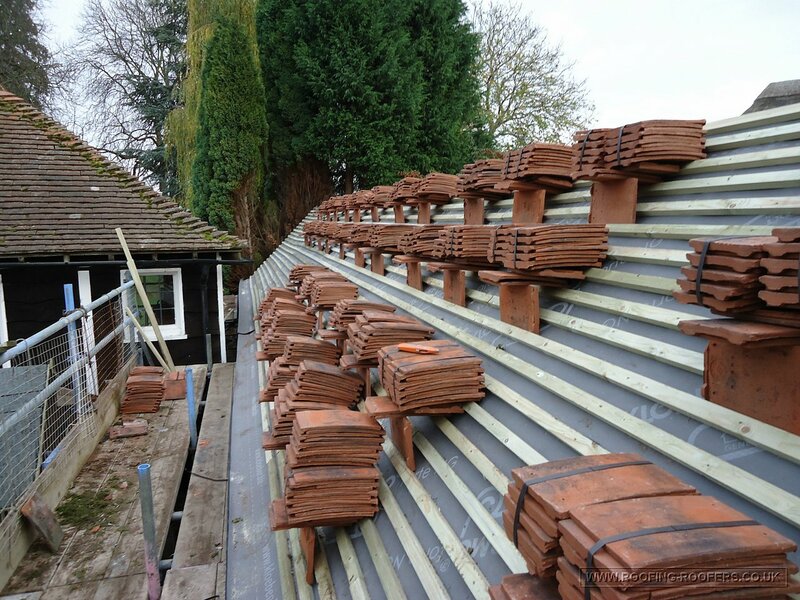 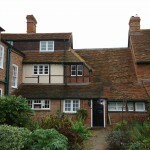 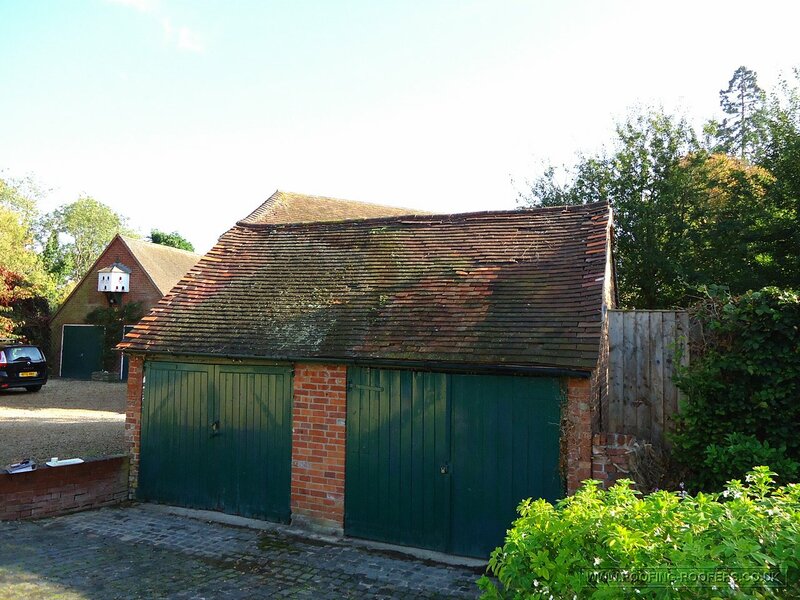 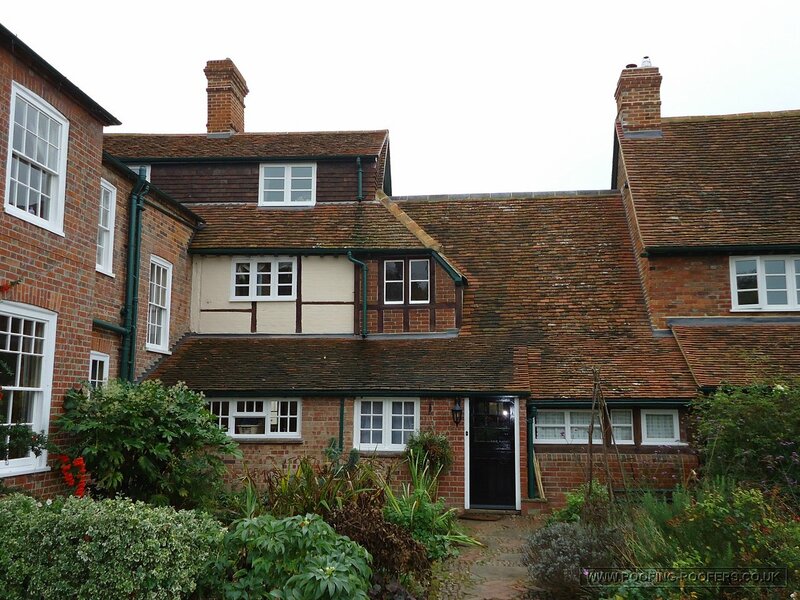 The out buildings to the house in Little Wittenham Oxfordshire where clad in handmade clay peg tiles and we set aside all sound tiles and fittings for re-use. 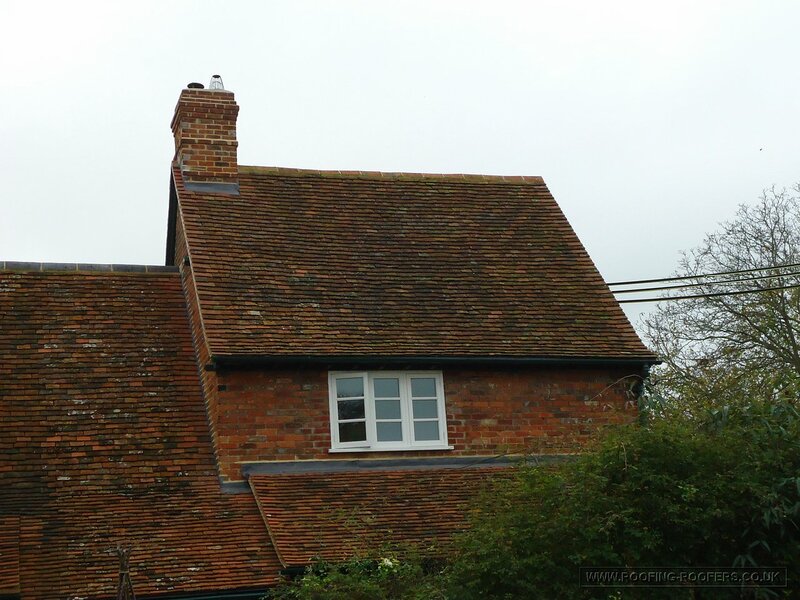 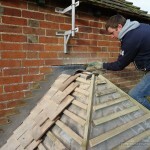 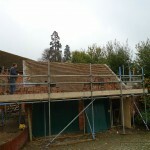 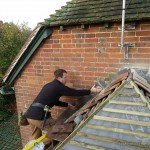 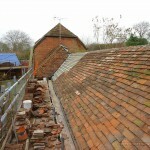 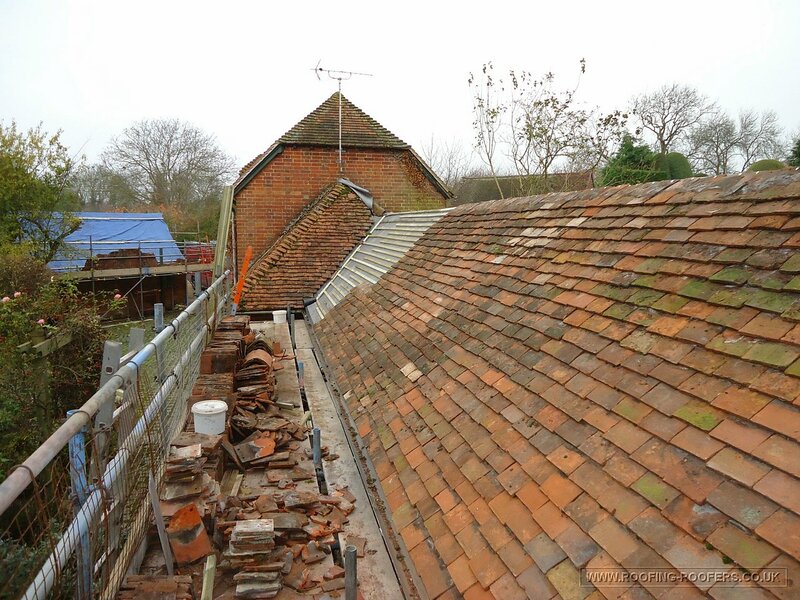 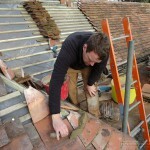 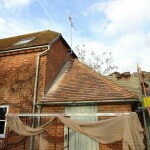 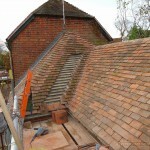 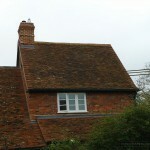 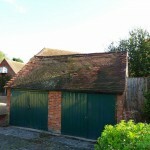 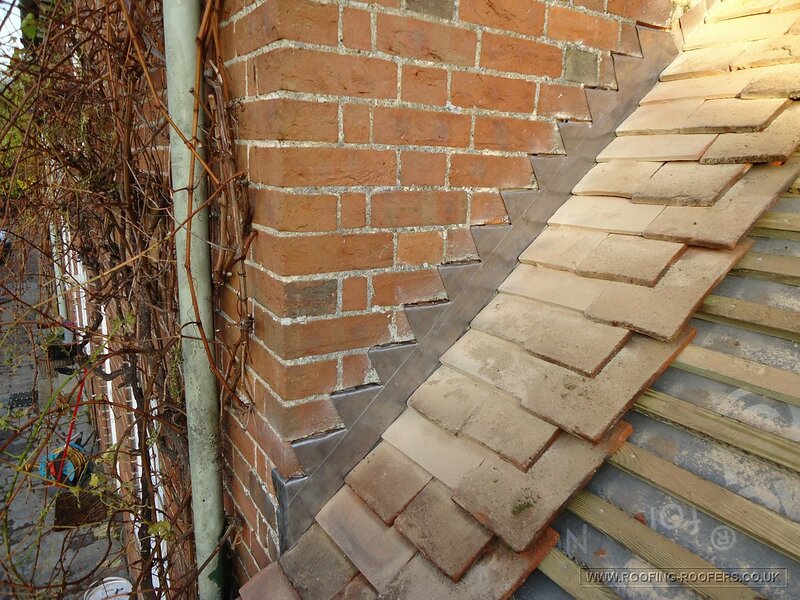 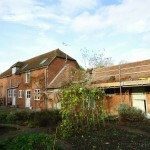 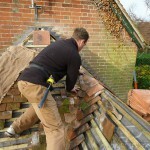 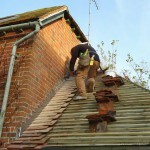 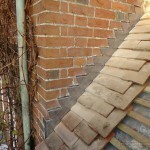 Some timber and gable end repairs were needed but generally the roof was in good order. 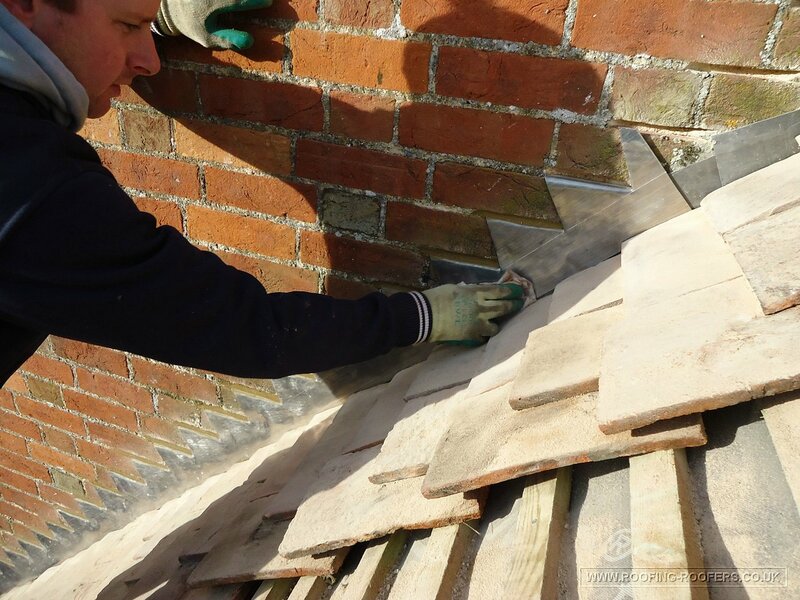 The work was undertaken so that were possible the weatherproofing of the building was maintained due to the unpredictable British weather. 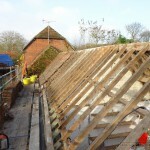 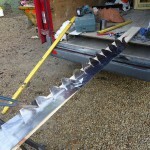 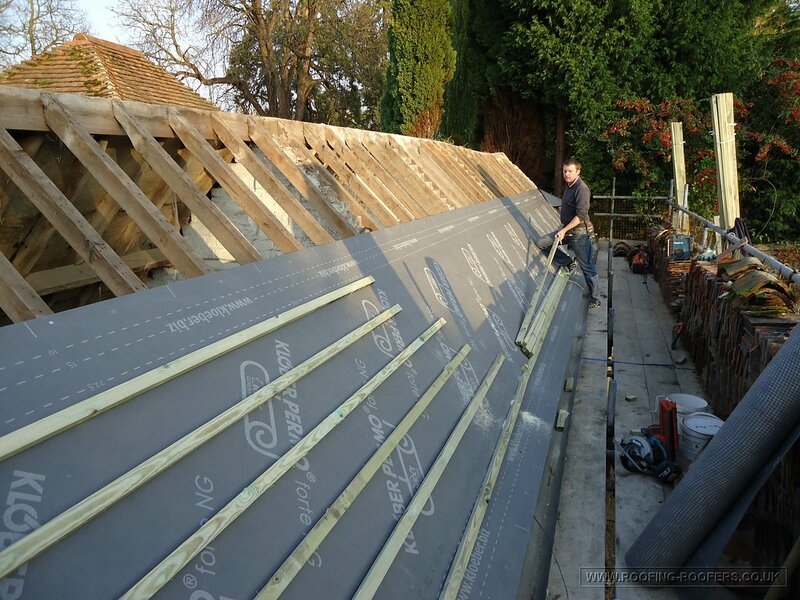 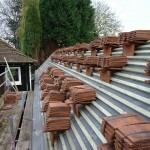 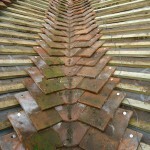 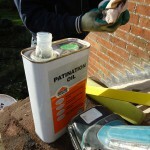 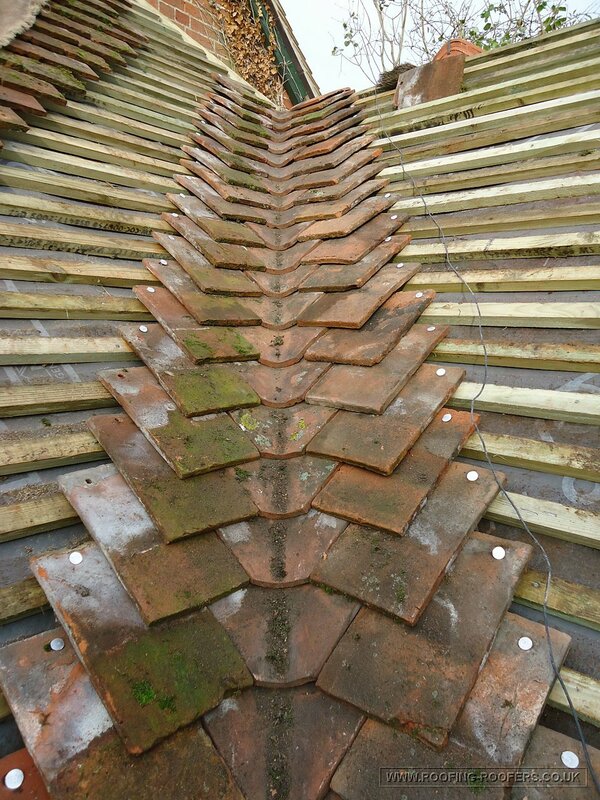 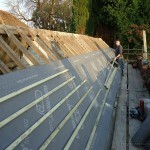 Once the roof was repaired and rafters de-nailed the vapour control membrane was laid on and fixed. 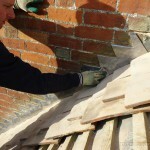 The new pressure treated battens are then put on at a set gauge to suit the tiles. 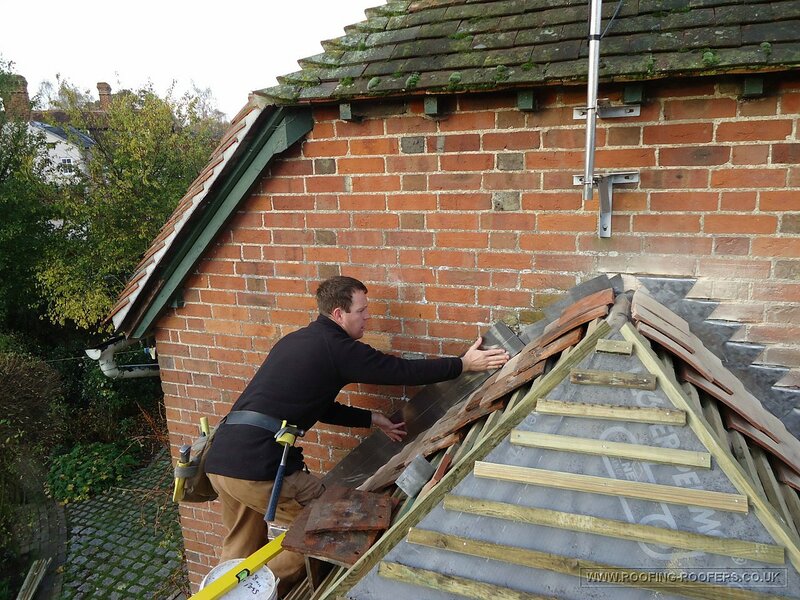 With all the preparation work completed tiling using the existing along with new replacements to match the tiling moved along quite smoothly. 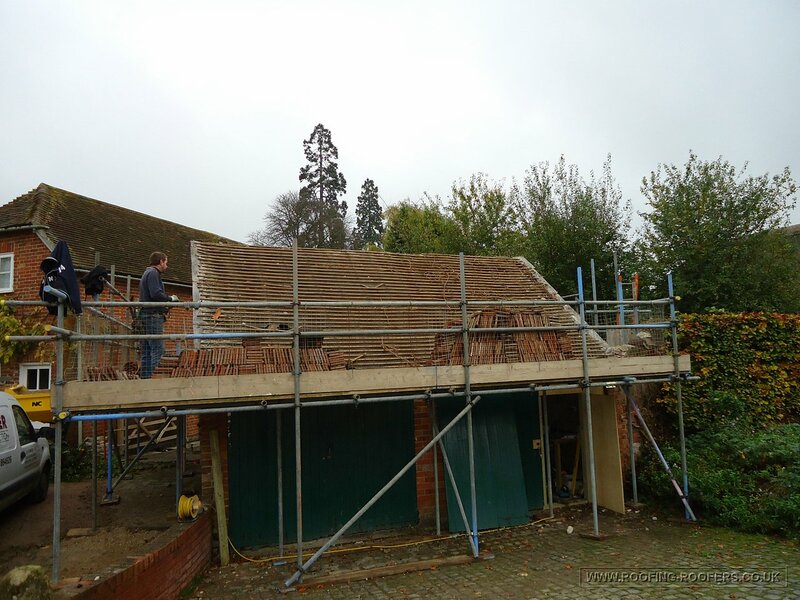 Once all tile work was completed the final cement work and lead flashings needed were completed, restoring the buildings back to their original glory but maintaining the character to comply with the grade II requirements for renovations. 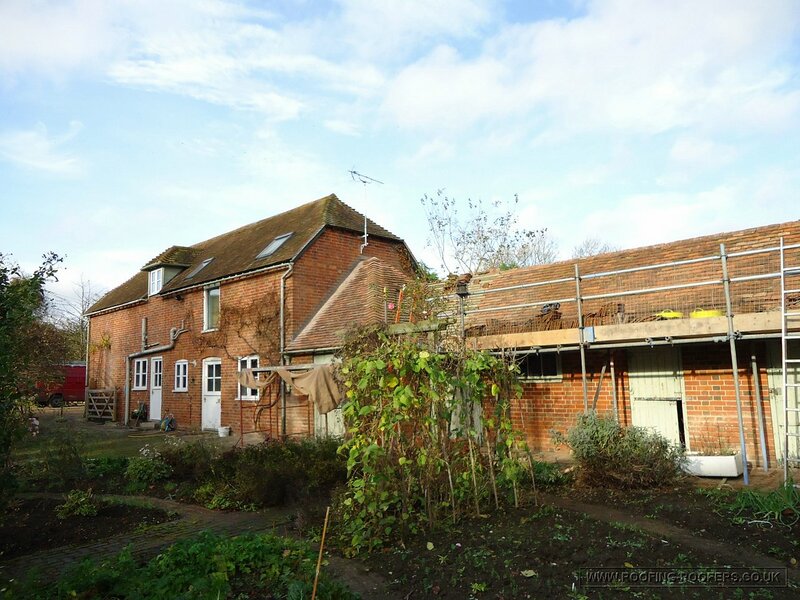 Due to the size of this project and the volume of images that were taken we have arranged them into a gallery so you can select the pictures you want to enlarge and view. 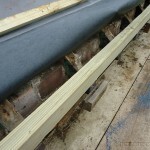 You can also start at the beginning of the gallery and navigate through the main pictures to confirm the level of my craftsmanship in completing large work like this contract.